"Hellooooooo!" roars a voice on the side of the road. "Welcome to the rock'n'roll playground! Come on in, you can build anything you want in the whole world!! 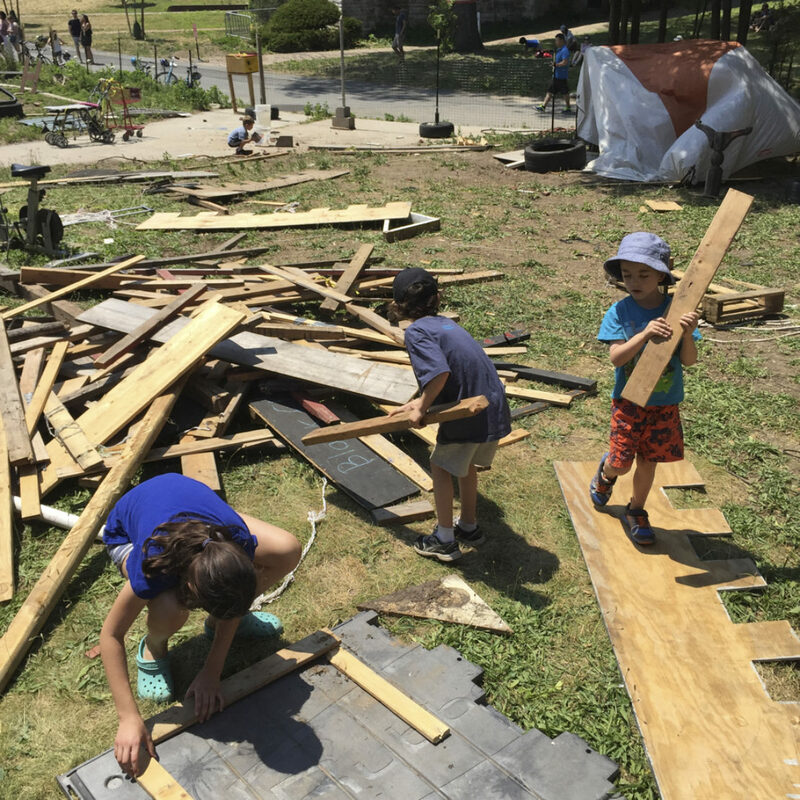 And we have hammers and nails… "
The voice is coming from a young woman named Jackie Katz, who is smiling at every kid passing by on Governor's Island, off the coast of Manhattan. Behind her, framed by ancient buildings built when the US Coast Guard inhabited the island, is a big open space crowded with what looks like piles of junk. My six-year-old son, 'S', ambles towards the starting blocks, eyes and mouth wide open, legs restless. He is eagerly waiting for me to read and sign the mandatory waiver making all parents aware that there can be danger here, and that the play:groundNYC founders and employees can't be held responsible for injuries. Parents generally seem on board. "I'd rather they get hurt now and learn to deal with it," says Samara, the mother of an eight-year-old. In an instant, S is gone. He disappears behind the spaceship-looking structure that was built the day before from wood, a piece of grey fence, what looks like a carpet, a broken umbrella, an old-style telephone, a shiny shower head, a few tyres and a duck head. We are early. The place is his. Nose on the floor, exploring textures and weighing unidentified objects, S talks to himself – something about pirates. He starts gathering four bright orange cones, a piece of cord, and a bent white plastic pipe. I ask him what he is doing. He doesn't respond : he's too busy designing, calculating, imagining. 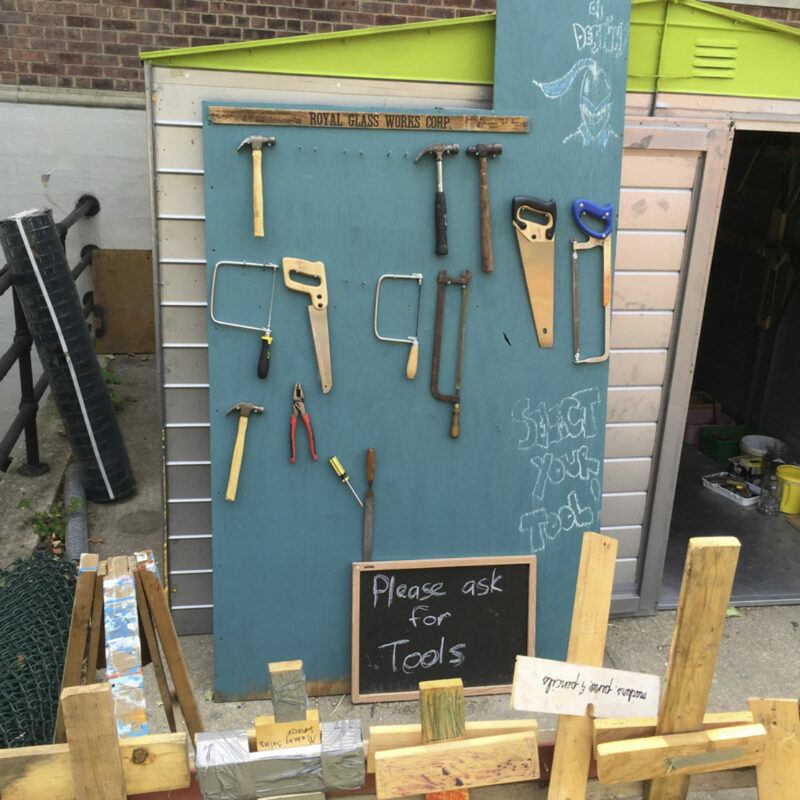 Looking around play:groundNYC, I wish I could be six again, just for one day. At this point, morning boats have landed on Governor's Island from Manhattan and Brooklyn. Kids from every horizon head to the adventure playground. 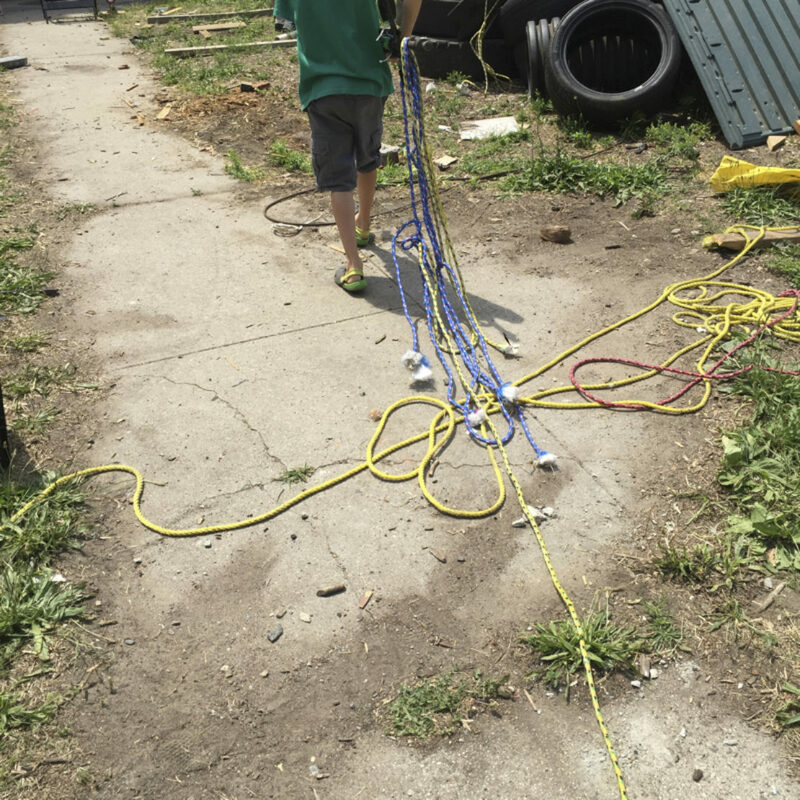 Lazaro, Eli, and Russell join forces to design a workshop with a rooftop observatory, while nine-year-old Enzo builds a car from a supermarket cart and the skeleton of a stroller. In the kids-under-six area, three cute fairies build a mud-throwing system. 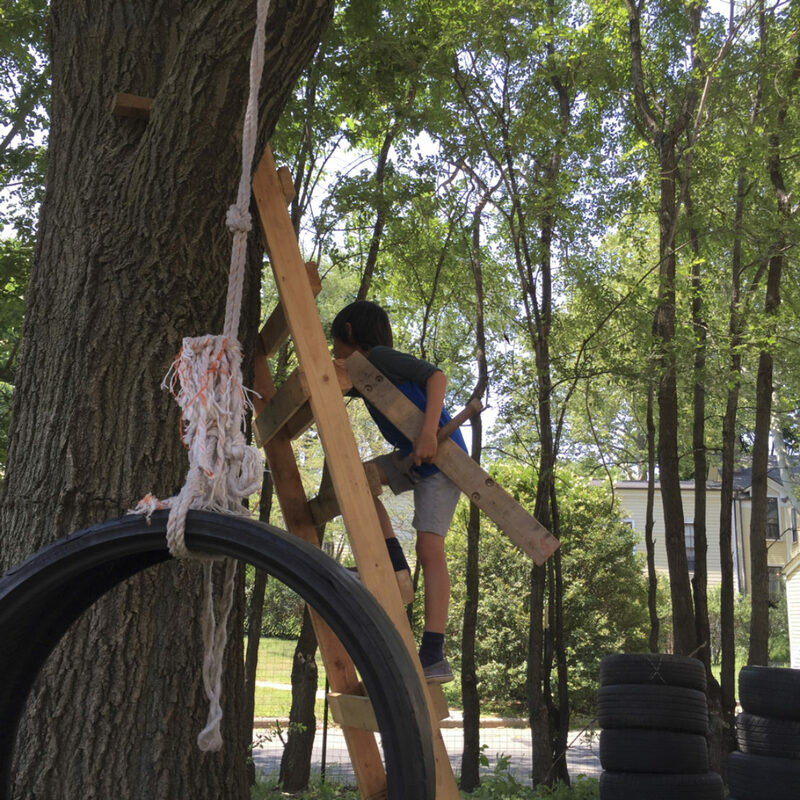 Rachel and Melby, both eight years old, invite me to have tea in their house; from there, I can watch Philip instruct a young boy to nail a wooden platform to a tree. 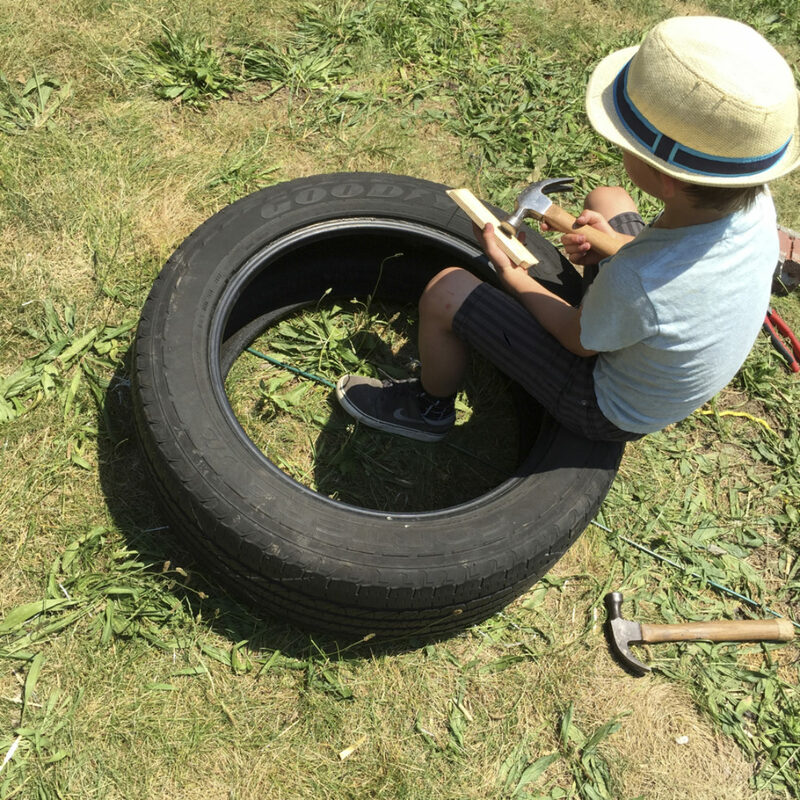 From time to time, I spot S either making a sword, helping a new friend fix a wheel to his futuristic spaceship, or dragging a big beam to finish a real size canon. During the four hours we're there, S doesn't come to me for advice or help at any point. He is in his element, having the time of his life. 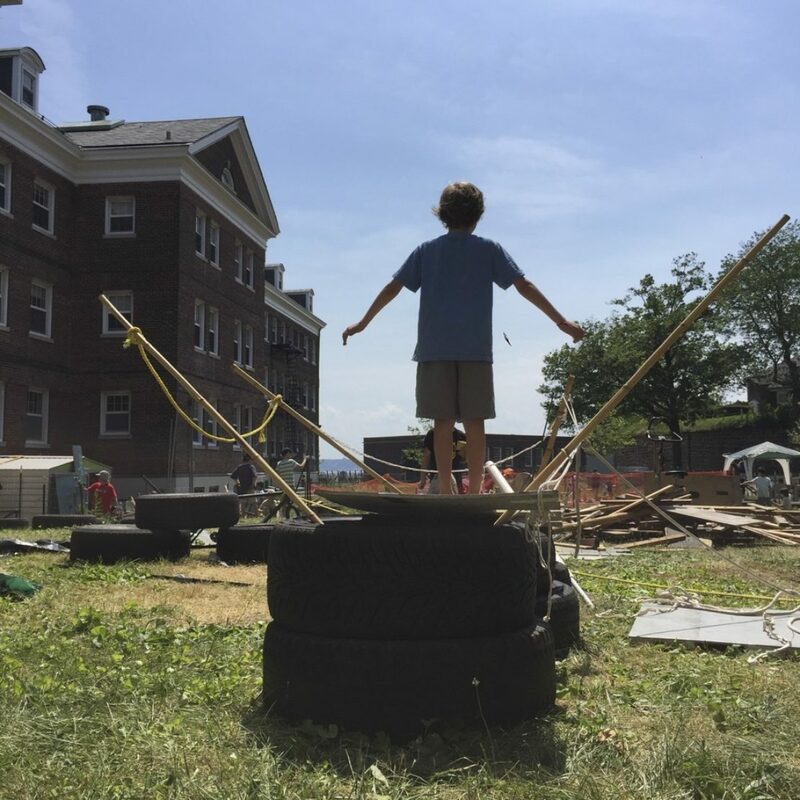 play:groundNYC was created by Alexander Khost, Eve Mosher, and a team of people involved in alternative education. In part, they were nostalgic for the times when kids learned both in the street among their peers as well as at school and home. 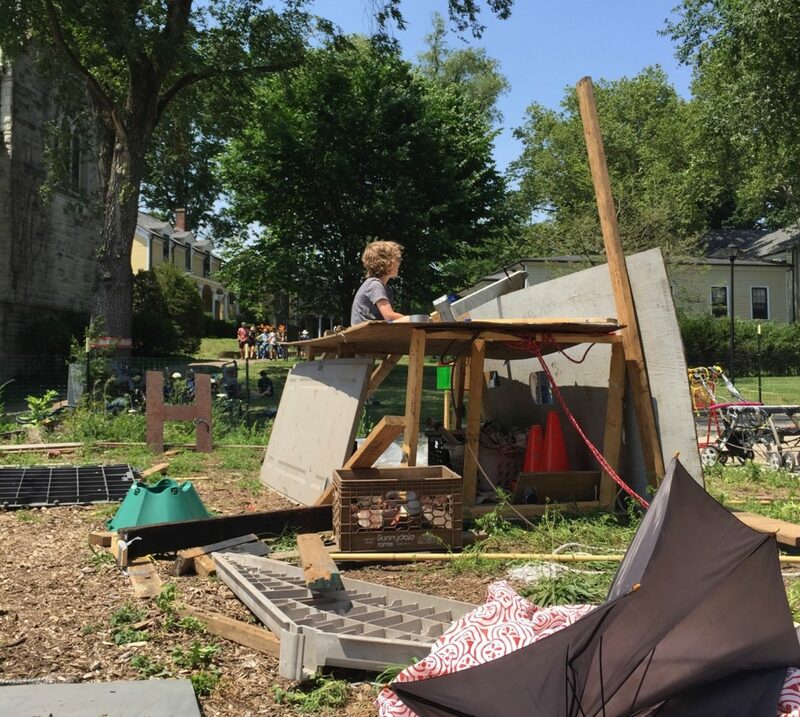 Their initial idea was to offer free play areas in urban environments, a creative alternative to what they call the 'shiny' playgrounds: a possibility for children to discover their own imaginations and develop confidence by finding their own solutions. "The project is really about empowering freedom and independence," said Jackie Katz, who sits on play:groundNYC's board of directors. A final image from the play:ground stays with me: Captain Juda standing on the bow of an incredible Viking ship that he built on his own, arms in the air, hair in the wind, probably thinking about his next conquest. As S and I were riding home in the East River Ferry, he couldn't stop talking about the adventure. The way he built this and imagined that and lifted such a heavy object and teamed up with other kids to achieve more. The biggest surprise for him was that he could do so much – all by himself. Projects to introduce robots into the classroom are being tested around the world. Could a new breed of social robots teach our children?